The title "Godfathers and Sons" tips you off right away that though the entry figure in the documentary is Marshall Chess, he's not getting a pass from the producers. It's not possible to understand Chicago blues without Chess Records, but far from being an uncritical tribute, the Chess family is shown to have both good and bad sides, something which has apparently confused the other reviewer here. 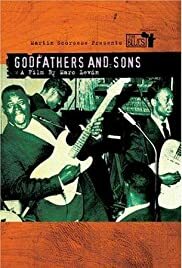 Though it's a documentary, not a concert film, you also get some good live performance footage, some fairly rare archival clips of greats like Muddy Waters, Howlin' Wolf, Willie Dixon and others, and interviews with young rappers who are developing their own relationships with their musical heritage. Not a great documentary for the ages, perhaps, but there are far worse ones in this subject area. And I would hesitate to evaluate this documentary one way or the other solely on the basis of the director's last name.